While sentiment across the cryptocurrency industry’s multitude of communities is rather buoyant, there have been two exceptions: those embroiled in the QuadrigaCX debacle and victims of the Cryptopia hack. But, those in the latter group were able to breathe a much-needed sigh of relief on Tuesday, as the New Zealand altcoin-centric exchange revealed that it had partially relaunched trading. Yet, Cryptopia’s situation is all too cut and dried, as some users reported a loss in their exchange holdings. They call this a “haircut,” and it’s rather reminiscent of the Bitfinex hack of yesteryear. Cryptopia, a once well-known exchange, suffered a brutal hack in mid-January. Blockchain researchers claimed that the Christchurch-based company lost upwards of $16 million in Ethereum, ERC-20 tokens, and an array of unnamed digital assets. As the firm attempted to cool the hot water it was standing it, company representatives kept their mouth shut. But, in the middle of February, local authorities gave the exchange an A-OK to resume trading. And since then, Cryptopia has begun to rebuild its platform, slowly putting the bricks down for a new, improved, and dramatically more secure iteration of its offering. For those wondering, Tezos, Monero, ZCoin, Ethereum, Bitcoin, Litecoin, and Dogecoin are among the cryptocurrencies that can now be traded on Cryptopia. By and large, Cryptopia’s clients were pleased, posting cheery quips in response to the above tweet. However, there are still many facets of the platform that are surrounded by yellow tape. According to a Cryptopia letter, emailed to its clientele last week, deposits are still shuttered due to the exchange’s newfangled wallet solution. 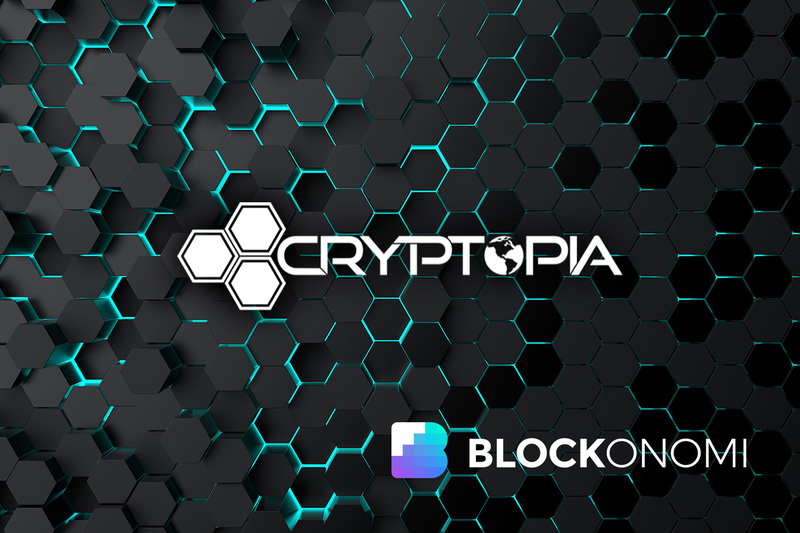 And as hinted at earlier, there still remain a mass of altcoins pairs that remain inactivated, as Cryptopia presumably assesses the logistic viability of introducing support for over 450 cryptocurrencies to its upgraded server. What’s worst, however, is the haircut that Cryptopia’s users were greeted with when they opened their accounts. Cryptopia’s website states that all users with Bitcoin will have their holdings subject to a 14.04% haircut, meaning that a trader holding one BTC of the time of the hack will see their balance dwindle to 0.8596 BTC. Litecoin balances are reported to have received a 43% haircut. And Ethereum balances, which the hack’s executors seemingly targeted, were wiped off the face of the Earth through a 100% haircut. Although some cynics claim that CLM is just Cryptopia’s way to slyly avoid paying back the victims of this multi-million dollar attack, a precedent has been set for the success of this medium of reimbursement. In 2016, Bitfinex, then one of the world’s largest cryptocurrency exchanges, lost $72 million worth of BItcoin in a surprising hack. Like in Cryptopia’s case, traders using the Hong Kong-headquartered platform took a “generalized” haircut, with this one being a platform-wide 36%. Bitfinex went on to establish a reimbursement token, BFX, before buying back the tokens at their $1 face value in the months that followed the August hack. It isn’t clear whether Cryptopia will follow in the footsteps of Bitfinex, but victims of the hack are surely riding on it. The post Hacked Exchange Cryptopia Relaunches: Users Subject To “Haircut” On Crypto Holdings appeared first on Blockonomi.